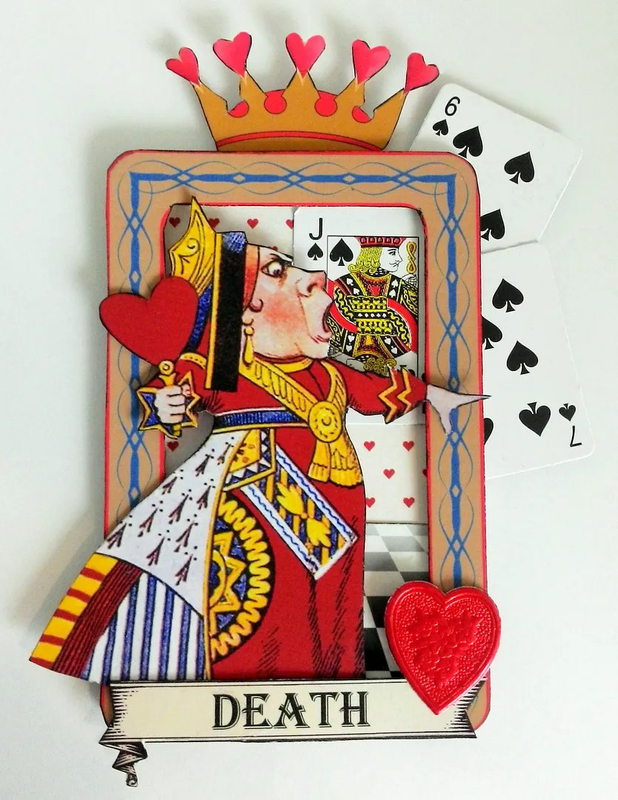 My first tarot deck was the Alice in Wonderland deck. For the last three Halloweens I have dressed up as the Red Queen. I didn’t really realize that when I looked into that mirror, I was my mother. I have also thought of Maleficent as my mother – refusing to bless the newborn girl. But the Red Queen does speak to me. I get so tired of thinking about other peoples’ feelings that I want to scream. When do I get to be the selfish one? I have also wanted to be the Joker and watch the world burn. But that’s not me. Maybe someday. The first deck I bought for myself was the Hanson-Roberts deck. 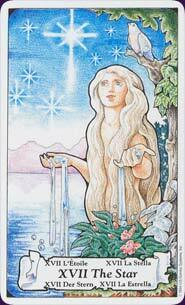 The 17th major arcana card in this deck, The Star, reminded me of Princess Tuvstarr from the Swedish fairy tale. But instead of wasting away looking for her lost heart, The Star represents intuition, generosity, and freedom. Just like the interpretation of Vasalisa in Women Who Run With Wolves. I always identified with blond heroines, like Alice, Tuvstarr, and Vasalisa. Girls who were fair in all senses of the world and who wander the dark forest, with the help of animals or dolls and childish logic. The Star reframes this isolation as freedom. Alone, as my mother lay in bed, I suppose I was free.